It’s time! The 2019 season is upon us and we’re looking for nest monitors. Please see the attached flyer for information on our upcoming Egg Stage Trainings. All volunteers, old and new, must attend one of the training dates. Pizza and drinks provided. 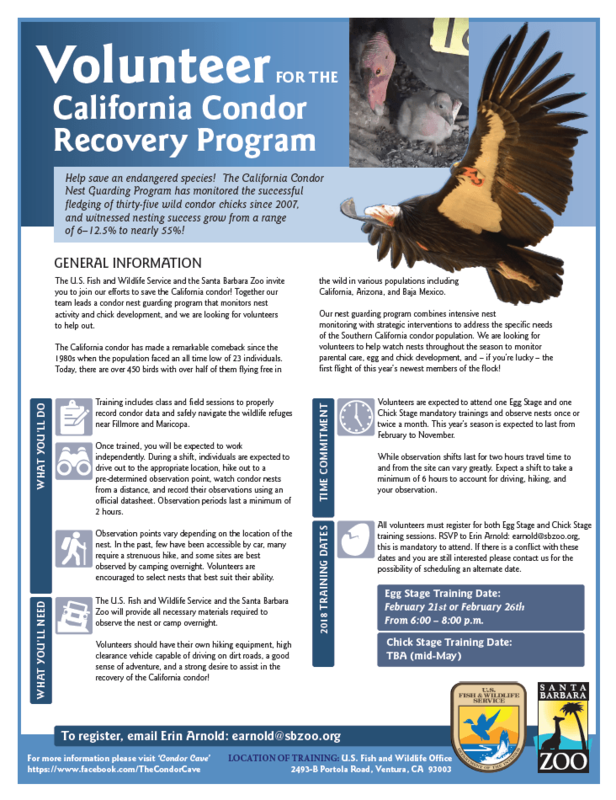 This entry was posted in Education, Service Learning, Upcoming Events and tagged #condormonitoring #volunteer #conservation #sbzoo. Bookmark the permalink.